Compost to recycle paper towels. Paper towels do not go in paper recycling because the fibers are not long enough to make quality paper. You may want food scraps composted outside. It is critical that all of the containers are in one location. Do not have an isolated trash or recycling container. People will tend to throw things in the closest container, but if they have a choice and are educated, they will put things in the right container. Set up: During the last week in September, collect trash items from snack wrappers and lunch. These will be put on cardboard boxes to collect waste for the audit. First week of October: Have several boxes around your campus with wrappers and other common waste items from your campus. Make sure the box is either inside or has a slot for waste to be put in so that it doesn't blow away. Have a system for collecting all of the waste for the week. End of week assessment: Determine how you are going to display your trash. Are you going to make an art project to raise awareness? Do you want to create a bar graph using the different items to create the graph? Share tips from the 31 days of tips created by Kathryn Kellogg of GoingZeroWaste.com. For the entire month of October, students and their families at our school will be asked to make choices that reduce our landfill. During this last week of September, we’d like you to do a little research. A family member can help you (we’d recommend wearing gloves if you feel the need to! 1. Do you have a compost container in your kitchen at home? If yes, what types of things does your family put in there? 2 We put plastic bags in the: A) recycling bin B) compost C) trash. 3. If we don't know if it's recyclable, we A) put it in the recycling bin. B) throw it out. 4. Look into your kitchen garbage can (make sure it’s on a day when it’s pretty full). Describe what you find in there. 2. C is the correct answer. Many recycling centers processing machinery is down, as high as 25% of the time, because plastic bags getting tangled in equipment. 3. B is the correct answer. 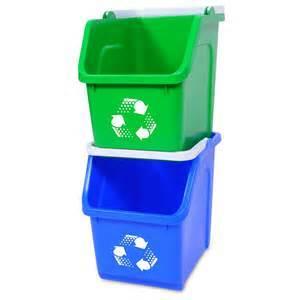 People often throw things in the recycling hoping they are recyclable - a term referred to as "wishcycle." This contaminates the waste stream, and in what people thought was a good choice actually can result in the entire container being rejected and trashed. Join in the challenge and see what waste you create and how close you can get to Zero Waste. Have your students check out the 31-Day challenge page. Be sure to check out the 31 days of tips created by Kathryn Kellogg of GoingZeroWaste.com. Make sure that your kids know what goes in each container in the classroom, at school, and at home. Here is a short PPT that you can use. Notes about what is recyclable or trash are in the presenters notes. Check with your local hauler about "compostable utensils. There are some birchware utensils that are compostable. However, many of the "bioplastics" take too long to decompose in the municipal composting systems and therefore need to be thrown out. Some haulers will also accept milk cartons that are lined with plastic. Feel free to make a copy and add in some specifics about your school or classroom. Have your students take a short pre-Zero Waste Challenge survey to see what they know and what are their current habits. You'll need to make your own copy of the survey. If you have multiple classes, you may want to add a question in about which period of the day they have you. Have clear signage that helps your kids sort. This will depend on the age of your students. As helpful as all the images can be, sometimes it can be a bit overwhelming and too much to process. If you can have the same signage throughout your school or at least your grade level, that will help. Check with your local hauler as they may have downloadable signs for your station.